Agilent Technologies has introduced multiple test solutions that support the development and deployment of multiplay infrastructure. As the multiplay services industry continues to evolve, network equipment manufacturers, service providers, cable installers and network operators now more than ever seek products that simplify multiplay test. Agilent Technologies’ new test products offer end-to-end performance monitoring and testing of fixed, mobile and converged networks and make it simpler to handle complex tasks easily, and also rapidly. 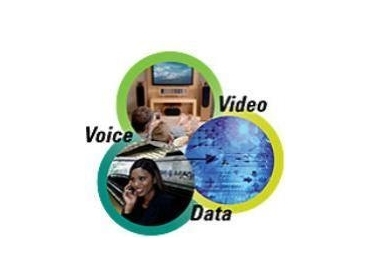 Agilent N2X Multiservices Test Solution is a multiplay test solution to combine line-rate, hardware-based performance statistics for video, voice and data services on the same test port. The Agilent N2X provides scalable hardware-based triple play traffic generation and analysis based on user-defined subscriber profiles. Each test port displays video media quality and IPTV channel-zapping metrics along with voice Mean Opinion Score and data forwarding performance measurements. This capability allows network equipment manufacturers and service providers to identify how the number and behaviour of subscribers and traffic mix impacts the overall quality of experience and to validate the triple play readiness of network infrastructure equipment prior to deployment. Agilent Technologies’ J6900A Triple Play Analyser is a complete in-service monitoring, analysis and troubleshooting tool for voice, data and video applications. It is a comprehensive service assurance solution for Microsoft Mediaroom IPTV and multimedia software platforms. Designed as a component of the Triple Play Analyser platform, the solution enables service providers and network equipment manufacturers to accelerate the deployment of Microsoft Mediaroom-based IPTV services. Agilent Triple Play Analyser also offers service providers the tools needed to ensure the required Quality of Service (QoS) for their IPTV deployments. Agilent's Network Tester Layer 4-7 test solution has been chosen by Zeugma Systems to verify the real-world performance and stress resilience of its new Zeugma Services Node (ZSN) service delivery router. Network Tester, with its wire-speed performance and broad range of natively supported multiplay applications, was used to verify ZSN’s service delivery performance under complex traffic conditions found in real-world networks. Network Tester is able to generate realistic multiprotocol traffic mixes at a high scale, which allows users to subject equipment to conditions of load and stress to simulate the customers' broadband networks. Furthermore, it provides a way to simulate new revenue-generating services and validate the equipment's functionality such as QoS-enhanced OTT Video and URL Filtering. The Category 3 to 6A, Class C to E, EA and F LAN cabling certification tester is an all-in-one tool that serves network administrators and solution integrators from cabling installation to service turn-up and troubleshooting. Two new software licenses for WireScope Pro cable test enable network administrators and network solution integrators to validate and pre-qualify the quality of voice over IP services, and to stress test Ethernet connections with the WireScope.